When carmakers unveil a new vehicle, they often compare it to an established model, sometimes saying that it incorporates the "DNA" of that successful product. Mercedes-Benz takes that concept a bit literally in a new ad for its latest Vito delivery van. 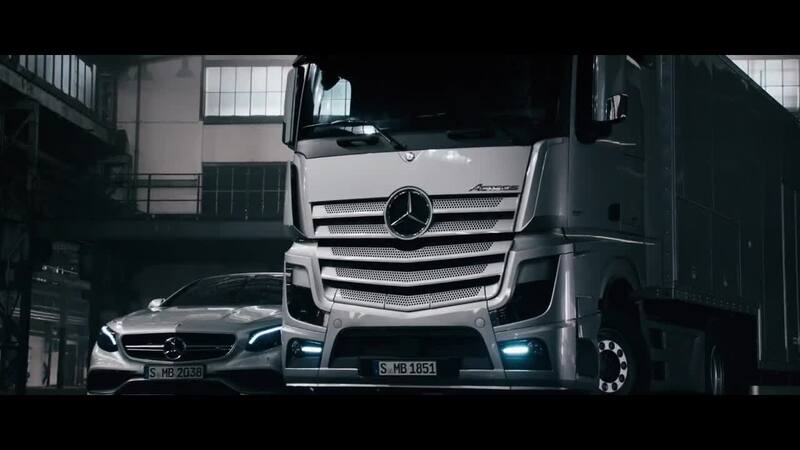 Called Dirty Driving, it shows an S63 AMG Coupe and an Actros heavy-duty truck getting errr... romantic, and the result is the new van. Mercedes was perhaps trying to emphasize that the new Vito combines the durability of its trucks with the technology of its cars, but that point may not register with viewers as much as the depictions of car-on-truck action. So if you were ever wondering where baby vans came from, now you know. Unveiled earlier this year, the Vito is sold as a commercial van aimed at buyers who want something smaller than a Sprinter. Its more upmarket V-Class sibling is pitched as a luxury-MPV replacement for the departed R-Class, and can haul up to eight passengers in a luxury environment typical of the brand's cars. Even the workaday Vito includes a long list of features, such as intelligent lighting, blind-spot monitoring, crosswind assist, and lane-keeping assist systems. Mercedes previously hinted that the V-Class could be sold in the U.S., where the Sprinter is essentially all most buyers know of the German carmaker's van expertise. That won't happen until at least 2015, though.